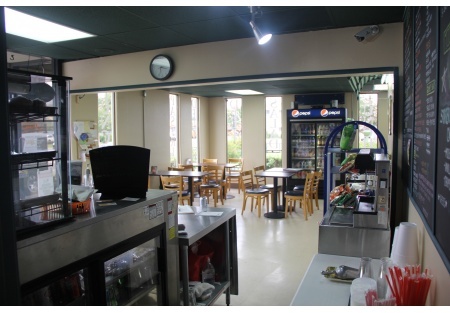 Here is your chance to own a great business district deli and catering business. Established 27 years ago in 1987 this deli has serious staying power. Are you ready to take over as its next successful owner? It is located in the heart of a thriving commercial business district and less than a mile from one of the largest shopping malls in the county; the customers are right at your doorstep. Demographics in the surrounding areas for this breakfast and lunch deli are exactly what you would be looking for to support this type of deli-restaurant and catering. Bustling businesses surround this deli with a great corner location on a very busy street. The food choices in the immediate area are extremely limited and this is the place to go for quick service and quality foods. The varied menu with quality and value built in show up big in the outstanding Yelp reviews for this restaurant-deli, it is quicky apparent to see why this is such a popular choice for breakfast and lunch. The restaurant has dedicated parking spaces for their customers along with a nice outside patio seating area. Inside they have plenty of customer seating and even a comfortable conference room separated from the main dining area that can accommodate private meetings and/or parties. Kitchen is set up nicely for quick and high volume service with easy access to the counter and dining areas. There is plenty of prep space in the back allowing for big catering and high volume events as well. Location also has a large office area with a completely separate entrance with room for two desks and workspace to help with the organization and operational planning. Rent on this great space is only $1078 per month; current lease term expires in November of 2017 with a five year option to extend available. If you are looking for a breakfast and lunch deli operation that will get you home in time for dinner this is could be the place for you. Vivist SellingRestaurant dot com to get the name and location of this restaurant.